The Ministry of Finance (MoF) expects to keep this year’s State budget deficit at 3.7 percent of the GDP, below the 3.9 percent mandated by the National Assembly. 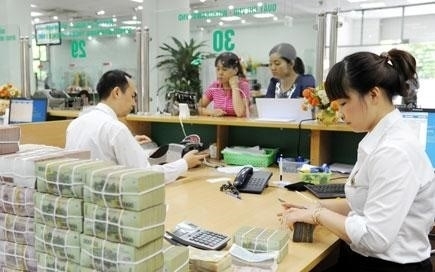 The deficit is expected to reach 204 trillion VND (US$9.08 billion ). A decision released recently estimates State budget revenues for the year at 1.31 quadrillion VND (US$58.3 billion), including 1.09 quadrillion VND from domestic sources, 179 trillion VND in trade surplus, 35.9 trillion VND from crude oil sales, as well as 5 trillion VND in international aid. Total State budget expenditure for the year is estimated at 1.52 quadrillion VND, including 940 trillion VND in regular spending, 399.7 trillion VND in development investment, 112.5 trillion VND in interest payments, 35.76 trillion VND on civil servants’ payroll, 1.3trillion VND in aid disbursement, and 100 billion VND in additional financial reserve funds. From July 1, 2018, base salaries will go up from 1.3 million VND (US$58) per month to 1.39 million VND per month, and pensions, social insurance allowances and monthly allowances will be adjusted accordingly. 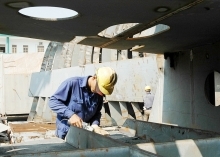 Provinces and centrally-run cities will continue using lottery receipts for investment in development projects. They will allocate at least 10 percent of their revenue to supplement the building of “new rural areas,” orienting towards climate change adaptation. The decision says in the 2018-2020 period, the MoF will continue managing collected value added tax, special consumption tax, and environmental protection tax on domestic and imported petrol and oil products. It will also regulate revenues related to the granting of water resource exploitation rights, and act to keep public debt, Government debt and foreign debt within prescribed limits. The Prime Minister has assigned the 2018 State budget estimates to ministries and ministerial-level agencies at central and local levels to ensure that they are met while balancing charges and fee collections, as well as meeting expenses for national target programs.